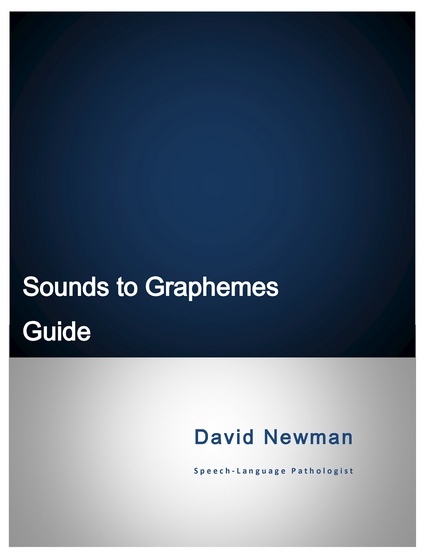 The Sounds to Graphemes Guide is a free early literacy program that assists school-age students to match speech sounds to graphemes. The program features consonant and vowel charts that help children quickly and efficiently identify the series of graphemes that can be linked to a particular speech sound. Phonics based reading programs are evidence based methods of teaching people to read by matching speech sounds with letters or groups of letters known as graphemes. Similarly, this guide is designed to be used as a visual aid and as a handy and accessible reference to help students match speech sounds with the corresponding graphemes. This skill becomes important when students are confronted with a word that is difficult to sound out or does not follow conventional spelling rules. For instance, the word tough contains three phonemes and five letters. If a word such as tough was to be spelt conventionally in the absence of grapheme rules it might resemble tuff or tuf. The five letters in the word tough are represented by three graphemes. The graphemes are t – ou – gh. The initial grapheme t is simple enough for younger readers to recognise. The same is not true of the grapheme ou or the final grapheme gh. Both graphemes require more in depth knowledge of spelling rules and patterns to understand that ou represents the /u/ phoneme and gh represents the /f/ phoneme. The guide’s primary aim is to assist students to efficiently make an informed ‘guesstimate’ as to what a particular troublesome grapheme represents or which grapheme to select when writing a difficult word. An Example of the /i/ Vowel Sound to Grapheme Chart. One of the 44 charts featured in the program. • Reference list of terms that range from the meaning of graphemes, vowels and consonants to the respiratory system which generates speech sounds. • Pre-test assessment: Instructions and forms to establish a baseline for intervention. • Intervention Ideas: Explanation of direct instruction and an example of how to use the guide to identify graphemes in a target word. • 44 consonant and vowel charts. • Sound stimulation sheets for consonants and sound stimulation techniques. • Vowel sound reference charts, vowel curve illustration and vowel charts.